How Much Do Fully Fitted Conservatories Cost in 2018? 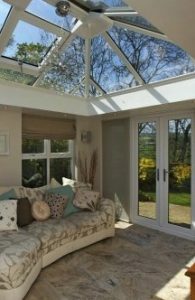 With it being stated that building a new conservatory can add around 10% to to the value of a house, doing so must be viewed as a very cost efficient method of creating new living area for the family and once you have decided to go down that route finding the best prices for installing a conservatory has to be the next step. 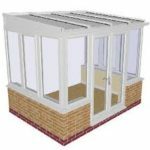 Its not, however, as straight forward as you may think even if you are sure of the size & design that you want because there are many things that can impact the final costs for a fully fitted conservatory – even something as strange as what time of the year you are looking to buy & build can reduce or inflate the cost. In reality, for any home extension of this type, you will require a budget of a few thousand pounds to get into this market, even at the “low cost” end. Although, if you are after something like a small & very simple Lean-to Design or if you are lucky enough to have the skills to fit, then you could get a DIY kit for under a thousand pounds (but it will probably look like a greenhouse). Building Foundations – is the ground good, what about power cables or drains? Building Planning permission – if you live in an ANOB or need authorisation, this will add to the bill. Deal only with an accredited or properly certified installer ( GGF / FENSA / CERTASS / DGCOS) and arm yourself with no less than 3 written quotations from different sources – thoroughly check warranties or guarantees that are offered. 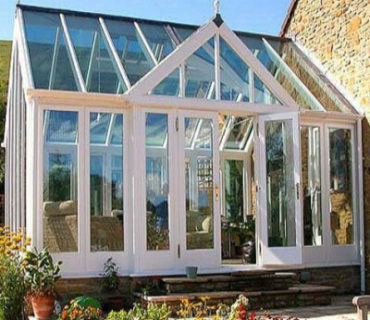 In general, conservatories prices may start from around £4,000 to £6,500 for a “small standard” room up to £25,000 to £50,000 (or more) for rooms such as bespoke orangeries. 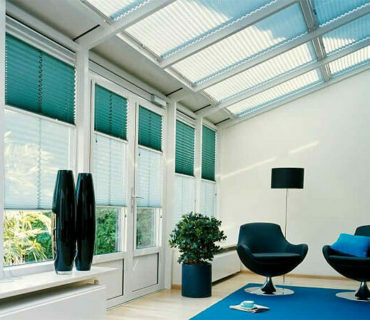 To give you an idea of the kind of prices in the market, please refer to to the table below – in terms of the cost of a fully fitted conservatory for your home, then you should get a written quotation from at least 3 different companies so that you can compare prices and offers before investing. 3 sided rectangular shape with a single flat sloping roof. 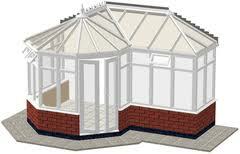 Roofing for budget lean to conservatories is usually made from poly-carbonate sheeting. 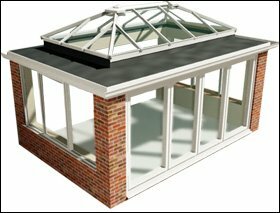 Part glazed, fully glazed or tiled roof options are available, as are full glass sides or dwarf walls. Ornate design with vaulted pitched roofing and at least one side which is faceted (like a bay window). The sides of the room are straight, but the “end” is curved. Small Victorian conservatories can sometime be awkward to furnish because of the curved & faceted bay. These rooms get their names from the shape of the floor-plan which resembles a letter of the alphabet. As with other conservatories, they can be built as full glass sides on include dwarf walls or solid infill panels to suit. A more complex job, usually found as medium or larger type rooms and may be subject to requiring planning permission if they are of the larger variety. Some examples combine 2 or more basic designs, such as Victorian & Lean-to or Gable / Pavilion styling. Fully Fitted uPVC from £10,000+ dependent on size & design. 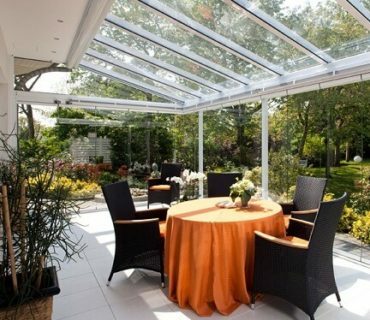 If you have the budget and the space, one of the high end products are Orangeries. Made to order for customers, the shape size or design style is up to the client. 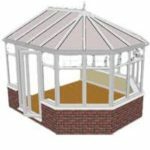 As a substantial building, usually featuring brick, block, piers, pillars and atrium style roofing, an Orangery requires pre-planning and thought beforehand. Solid Oak or other hardwood Orangeries can very expensive. An alternative is to use engineered wood or African hardwoods such as Idigbo, which can look as good, last as long and be less costly.